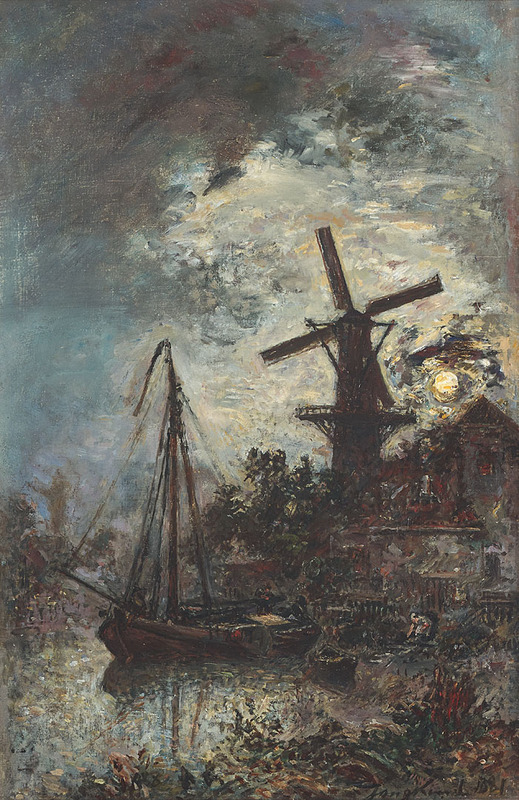 "Moulin au bord de la Vliet 1881"
Provenance: Private collection, La Haye; Kunsthandel Huinck & Scherjon, Amsterdam, 1925; J.W. 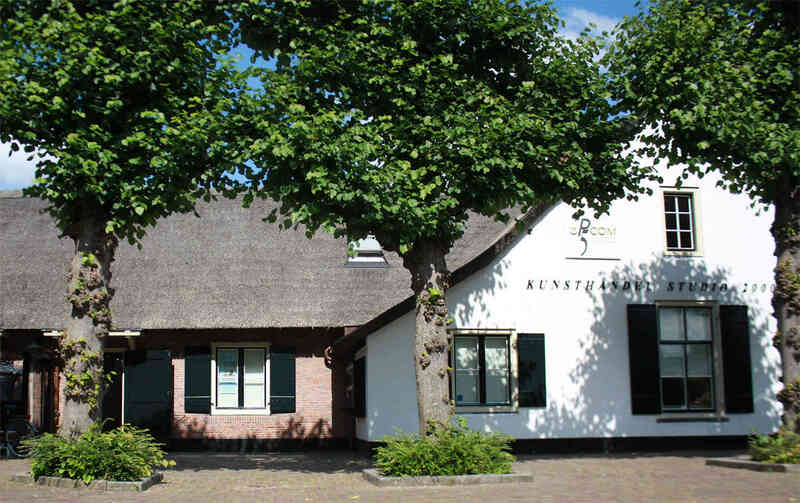 Verloop, Bilthoven, 1930; Dr M.C.L. de Jongh; P.B. Wouters, Amsterdam; auct 22 october 1974, Amsterdam, Christie’s, no 215; auct. 28 october 1980, Amsterdam, auct. Sotheby’s, Mak van Waay, No 234, repr. ; auct. 29 march1984, Londen, Sotheby’s, no 504, repr coul. ; auct. 10 november 1991, Le Touquet, Palais de l’Europe, No 132, repr. Coul. – Private collection. Exhibited: Amsterdam 1930, La Haye, Amsterdam expo. Itinérante; Rotterdam, no 74 – 1948, expo. Itiérante: La Haye, Amsterdam, no. 66 – 1975, Amsterdam, Douwes Fine Art, Franse schilders 1820-1920, no 24, repr. This work will be sold with a certificate of authenticity from M. Adolphe Stein, dated October 18, 1990.